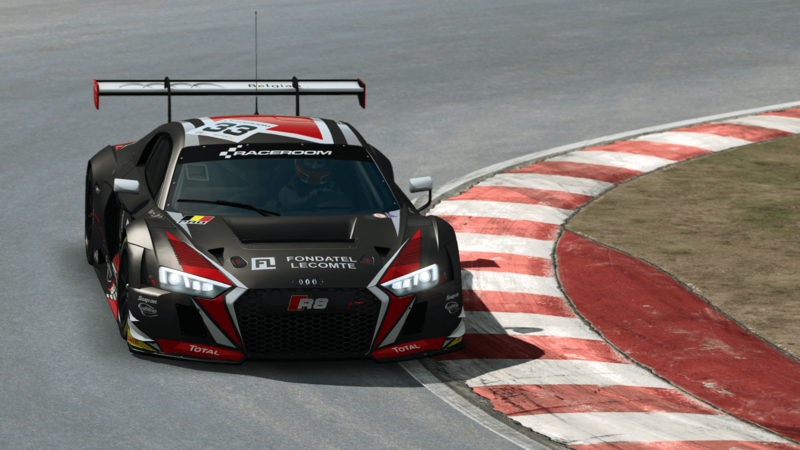 Discussion in 'RaceRoom Racing Experience' started by GTPNewsWire, Mar 18, 2019. This article was published by Michael Leary (@Terronium-12) on March 18th, 2019 in the RaceRoom category. DonZmeuheu and BrainsBush like this. but I don't want what they have planned. I would like the WEC license to go to a studio that is planning a simulation, an don't want a rebranded arcade title that strays from its roots to appease everybody. Am I the only one who thinks that RaceRoom is looking a little stale in todays market? The graphics looks quite old, no day or night, no weather, It has loads of content and the FFB feels amazing but other sims just offer a lot more. It looks fine for dx9, very clean actually. Graphics are overemphasized these days and you touched on the important bits, FFB/content. Many scream for night/rain then 95% of the online racing occurs @2pm on slicks.